We’re proud to announce that Blue Star Direct have recently been awarded for environmental excellence by Australian Paper Recycling, a division of Shred-X. The award recognises Blue Star Direct’s ongoing effort to ensure environmental sustainability. 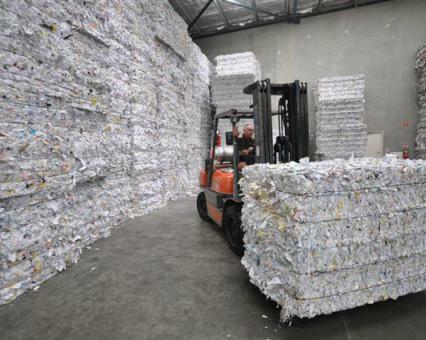 In the last financial year Blue Star Direct generated 13.4 tonnes of paper with 99.5% of this recycled. To put this into context, this effectively saved the environment 174 trees, 54 cubic metres of landfill, 426 kilolitres of water and 33 tonnes of carbon emissions. Paul Wilcockson Blue Star Direct NSW Operations Manager says “As a Company we take our environmental responsibilities extremely seriously so we take great pride in this award”. Blue Star Direct were also recognised with a Business Excellence Award for achieving Privacy Act compliance in the disposal of printed material.